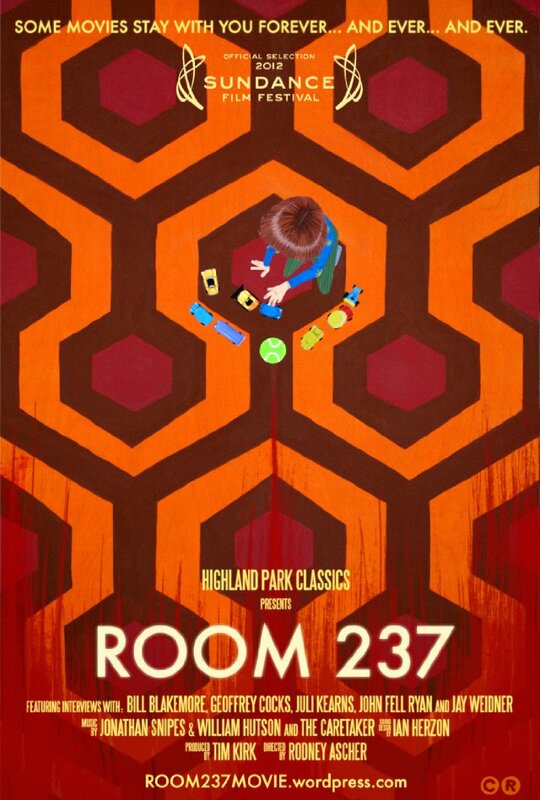 What fun (for awhile, anyway) is ROOM 237, which plays its last New York Film Festival performance at the Francesca Beale Theater tomorrow, Monday, October 8, at 9pm! (If you don't see it then, you'll have to wait till next March, when IFC Films releases the documentary via its IFC Midnight series.) 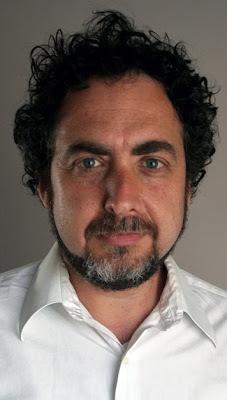 This odd, often delicious deconstruction of Stanley Kubrick's The Shining, is the work of one Rodney Ascher, shown below, who in his press notes, tells us that, as a kid, he ran out of the theater playing The Shining, 20 minutes after sneaking into that theater to view it. Ever since, he's been obsessed with the movie. What we see here in the fruit of that obsession. TrustMovies suspects that your reaction to the film will depend in large part on your reaction to Mr. Kubrick's oeuvre as a whole. If you're a die-hard fan of his work, I can't imagine your missing this film under any circumstances. If you're one of those people who feel that Kubrick was a hit-and-miss movie-maker (but certainly more hit than miss), you'll most likely be wired to view it. Even if (as do I), you've found The Shining to be one of his least successful endeavors, you may find yourself surprised at what Mr. Ascher and his small crew of interpreters mange to uncover. Such theories you'll see and hear here! Along with the hidden (in plain sight) symbols you'll discover! And the strange messages you'll manage to de-code! Or not. As the movie moves along, the theory of Indian genocide may hold you fast. After all, those cans of Calumet must mean something). Even the theory about the Holocaust should carry some weight. By the time you get to the subliminal images, Barry Nelson's symbolic hard-on, and what happens when you project Kubrick's film forward and another print in reverse at the same time, you may be ready to cry uncle. 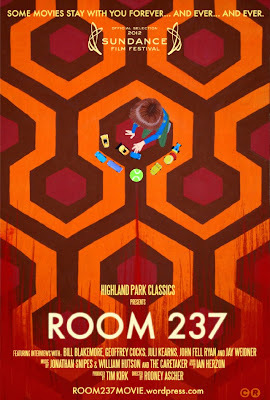 (Die-hard Kubrick/Shining fans will not, but most of the rest of us will.) 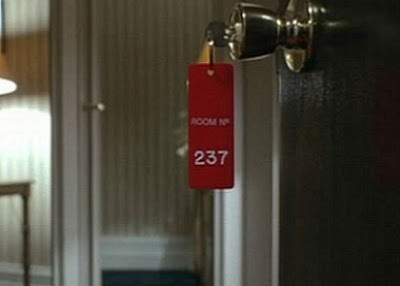 One thing the movie did make me realize: The Shining never really worked that well on its stated, conscious level as a scary movie because its director was far too preoccupied with its subtext, or gave over too heavily to his unconscious, or cared little for film continuity (the last is most unlikely). Yet it is when cinema (or novel or any kind of art) meshes naturally and simultaneously on both the conscious and unconscious levels that you get the really good stuff.